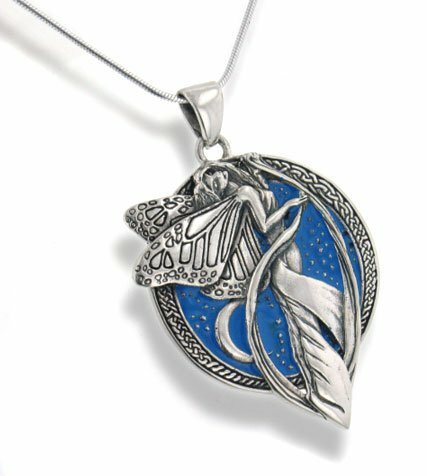 This sterling silver pendant shows a graceful floating fairy silhouetted against a deep blue (enameled) sky with the moon in the background. She is framed with a celtic knotwork border, symbolising her roots in Celtic/Irish mythology. Designed by Celtic artist Courtney Davis of nickel-free sterling silver.